We convey the therapeutic marijuana dispensary experience to you. Our prerequisites and process for becoming a member: · You need to provide a California ID or a driver’s license. Out-of-State ID requires extra confirmation of residency in the State of California. · Specialists Recommendation for the utilization of restorative mmj from a California doctor. · Live in the conveyance domain. We can always guarantee you a swift delivery in a time range between 30 and 120 minutes. 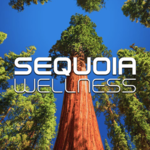 Here, at Sequoia Wellness Delivery you can find an exclusive selection of the finest mmj strains. As of this moment our menu includes: · 11 strains of Indica; · 9 types of Sativa; · 7 various Hybrid strains; · As well as over 20 different extracts and 40 edibles. The friendly and knowledgeable staff here at Sequoia Wellness is always happy to help you with choosing the right type of medical cannabinoid product that will be just right for your condition.